Signup today to Get Your Next 10 Inbox Delivery Tests Free. 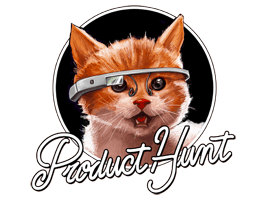 Exclusive offer for the Product Hunt Community. Exclusive offer for the Linkedin Community. Signup today to Get Your Next 20 Inbox Delivery Tests Free. Exclusive offer for the Facebook Community. Signup today to Get Your Next 15 Inbox Delivery Tests Free. Exclusive offer for the GLOCKSOFT Community. to improve your deliverability, open rates and ROI. Evaluate your reputation before you send. Detect and fix potential delivery issues. that you should address to get emails delivered to the INBOX. To generate the report, we'll resend your email through our personal accounts with different delivery vendors. You can compare inbox delivery rates and see how the email content and IP reputation affect deliverability. You should be aware that the results may be different when you send a test through YOUR ESP or own mail server. Emails that don’t reach the Inbox won't get read! We have every tool you need to maximize Inbox deliverability all in ONE place. 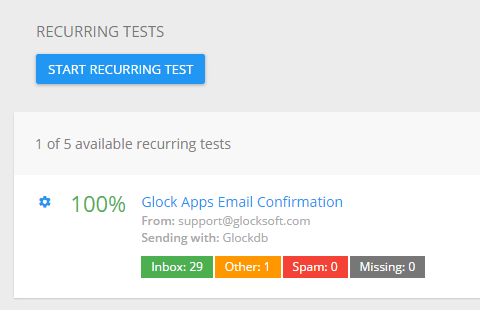 G-Lock Apps checks your email for risky content that can raise a red flag with an email provider and make the difference between the Inbox or spam/bulk folder delivery. You can get visibility into delivery performance at Gmail. G-Lock Apps tracks whether your email is delivered to the Gmail’s Primary, Social, or Promotions tabs. Delivery duration tracking helps you determine if there is an issue with an ISP throttling as this can be harmful for time sensitive promotions or important transaction emails. We run your email content through common spam filters Postini, Barracuda, and SpamAssassin, and return you an itemized feedback that often points to a specific content issue. G-Lock Apps tracks your Inbox, spam, and missed percentages giving you the most accurate and comprehensive information around your Inbox placement by campaign. G-Lock Apps checks your sender authentication each time you send an email to our seed list. You’ll see whether or not your message is passing DKIM and SPF authentication. Being blocked by at least just one major ISP can impact the entire email marketing campaign. By tracking delivery to all major ISPs, we show in real-time where your marketing email ends up: Inbox, Spam, or Updates. And we save you time and money by helping you track and fix possible deliverability issues. You can compare several tests sent through different email providers to see which email provider gives the best deliverability and use that provider for your most important email campaigns. Are any of your IP addresses or domain names on any blacklists? If so, your email may not reach the inbox at all. We test your sending IP against 50+ of the most common industry blacklists and help you diagnose and solve deliverability issues for continuous deliverability. 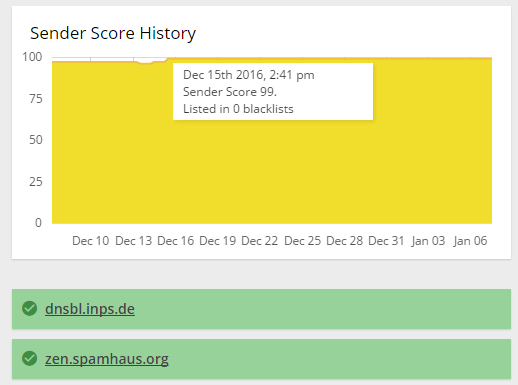 Our global blacklist coverage includes Spamhaus, SURBL, SORBS, and other blacklists. You can setup an automated process of checking your IPs against blacklists and be alerted via email when the IP got listed. Test your transactional or outreach emails automatically on a regular basis and be notified via email when your message starts getting to the Spam folder of any of the selected mailbox providers. You can create multiple email sending accounts using different SMTP settings and send recurring tests via different accounts to test each SMTP server and determine deliverability issues when they occur. Just saying the GlockApps report is BRILLIANT! Without your information, support, and services, I would never have managed to get our mail delivered into the Inboxes for Hotmail and Gmail. The journey has not been easy - but with the right information from your company the path has been successful..
You have provided us with superb products, that have allowed us a lot of freedom to manage our own information - especially now that our IP and domain are trusted. for better Inbox placement and better revenue. Detect and fix issues that can ruin your reputation and response rates for weeks to come.